I am back after a fun filled 25th wedding anniversary celebration of my parents. I made Ferrero Rocher and rolled it in dark chocolate and caramel chips. My mom was very happy with my work but I personally felt I could have given nice finishing. Amma was filled with pride in letting people know that her daughter made chocolates and that they were tasting great, She packed them nicely and gave those chocolates as return gifts to our guests while the majority portion of Ferrero Rochers were kept to herself. I offered to make Rum N Raisin as well but she was little apprehensive about gifting Rum based chocolates to the guests. But that's fine..Sigh.. Back from the vacation and a night shift with cold weighs you down to the pit. I opened my blog to check out some dal recipes and to my surprise I do not even have one. I proudly brag about myself as a blogger and I think I should hold my nerve until I have atleast 10 basic cooking recipes on my blog. Let me do the ribbon cutting to the basic cooking section on my blog today. 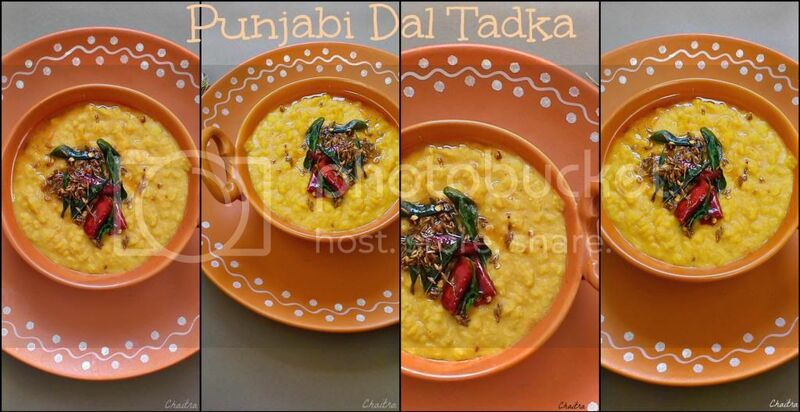 So here comes Dal Tadka in Punjabi Style. Wash and keep lentils aside. In a heavy bottomed pan, add oil and saute onions until golden brown in color. Now add tomatoes and cook until mushy. 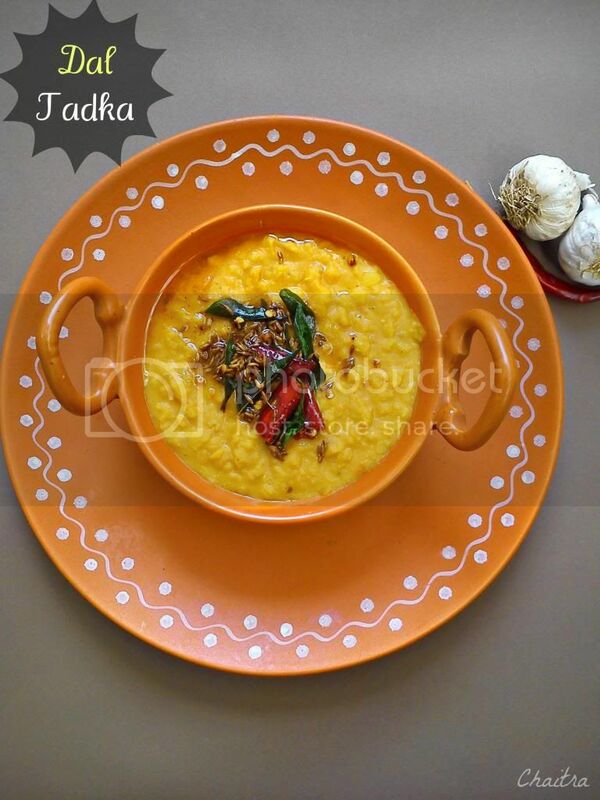 Add washed dal along with water and other ingredients mentioned under For Dal section. 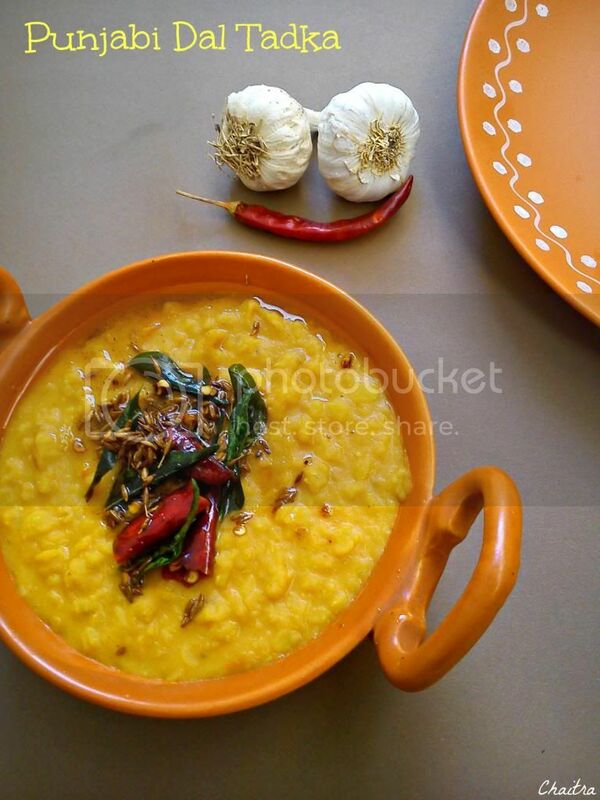 Combine all the ingredients and cook for about 20-25 mins or till dal gets completely mushed and doesn't have that nutty texture or till yAlternately you can pressure cook until 3 whistles. Roti- Soft Roti Recipe Coming Soon. You can use any lentil of your choice except the whole ones like whole green gram or whole black gram etc. Usage of Curry leaves in Punjabi style Dal recipes is still under fight. Some Punjabi's use it and some do not. I did use in mine. 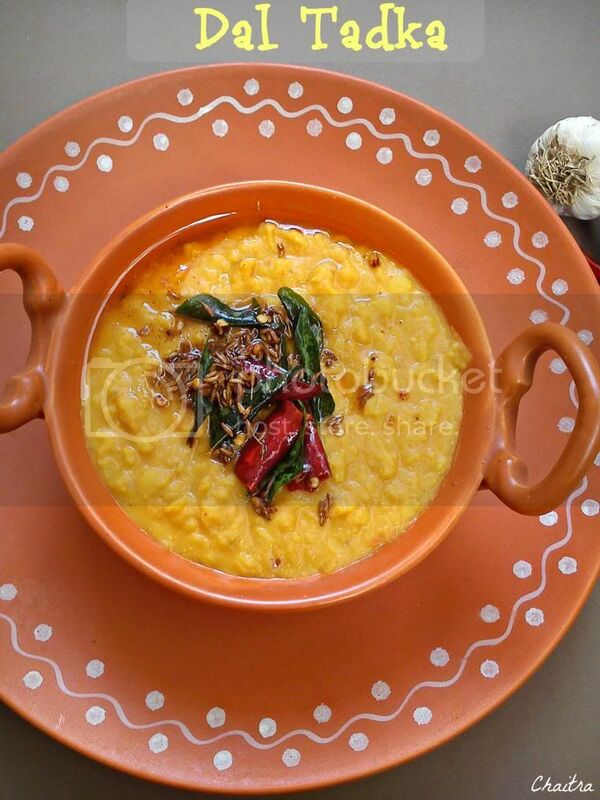 You can replace oil with Butter or ghee which flavors the dal and elevates its taste to the next level. You can even use Garlic in tadka. I do not like the flavor of garlic, so I skipped it in mine. Instead of water, you can use vegetable stock. Oh god.....Am I taking my health too serious or am i just trying to compete with friends around and show them that I am more active and fit. Let the reason be anything, I seriously cut down the number of teas that I used to take and replaced them to green teas. But it is sometimes not so tasty and my heart goes on to yummy pizzas and chocolaty puddings. I am fighting and trying to balance those nonchalant heart demands with sturdy mind controlling mechanism. I love juices and milkshakes a lot and love to carry them in my sipper and keep sipping during those days when I totally want to pamper myself. What about those liberal amounts of ice cream, cream and full fat milk? I am dead scared of it. So I found this recipe on Saffola Oats recipe book and I gave a twist by adding Dark chocolate to it which turned out to be very healthy and tasty. It is very filling and that's the best thing about this recipe. Dry roast oats until nutty aroma comes in and oats turn slightly turn brown. Chop almonds and dates roughly and keep it aside.Melt dark chocolate using double boiler method or microwave it for 30 secs. Blend all the ingredients in a blender until smooth and creamy. Transfer the contents into a serving glass. Garnish with Almond slivers and dates. You can replace dark chocolate with milk chocolate or white chocolate. Dark chocolate is good for health so I added it to my milkshake. Instead of dark chocolate, you can use honey. 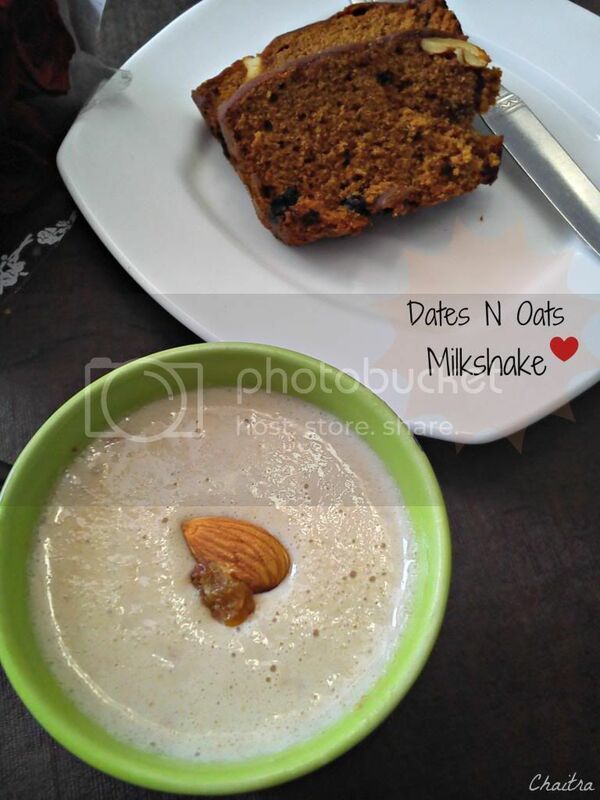 Increase the number of dates if you are opting out of honey or dark chocolate. Melting Dark Chocolate is tedious... I agree to that.... So you can use Nutella. 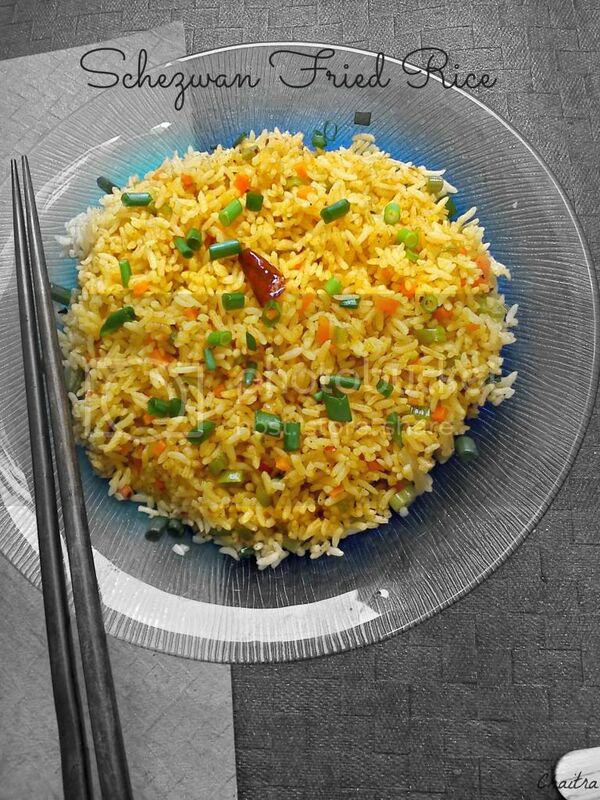 Regular readers of my blog know that I am not that dal-rice person. I love carrying different dishes in my dabba. I give you all possible excuses to avoid taking plain rice in my box. May be because I have my dinner at around 1:30 AM morning. If I can call it my lust it to carry different dishes in my dabba, I keep googling googling during my shift to find some nice and interesting one pot meals, filling soups or salads. In that quest, I found this recipe and I gave my own twist by adding ingredients of my choice. Here's the result. But the only challenge is that you cannot carry them in your dabba. 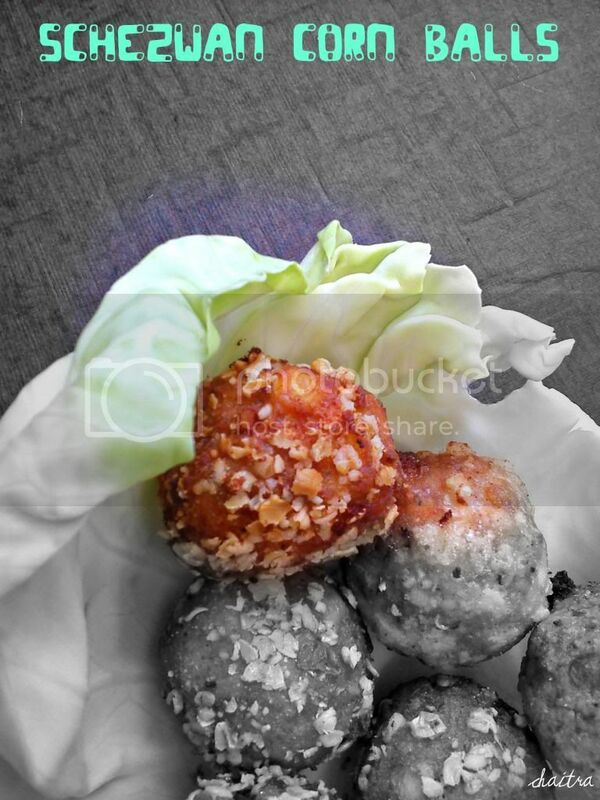 But you can use the soggy and soft balls in Manchurian sauce. Mozzarella Cheese- 1/4th cup sliced into small cubes. Boil sweet and drain excess water from it. Grind sweet corn into a coarse paste. In a bowl add all the ingredients except cheese. Take small amounts of the prepared dough and make an impression of your thumb in between. Place a small cube of mozzarella cheese in that impression. Pull all the ends and shape this mixture into a ball. Make a thin paste of all purpose flour and water in a bowl. 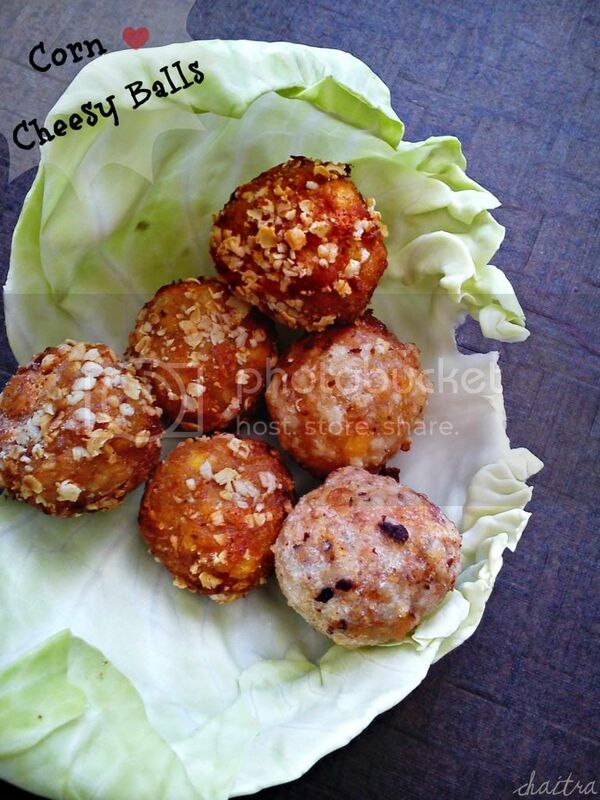 Dip these balls into this mixture and roll them in oats. 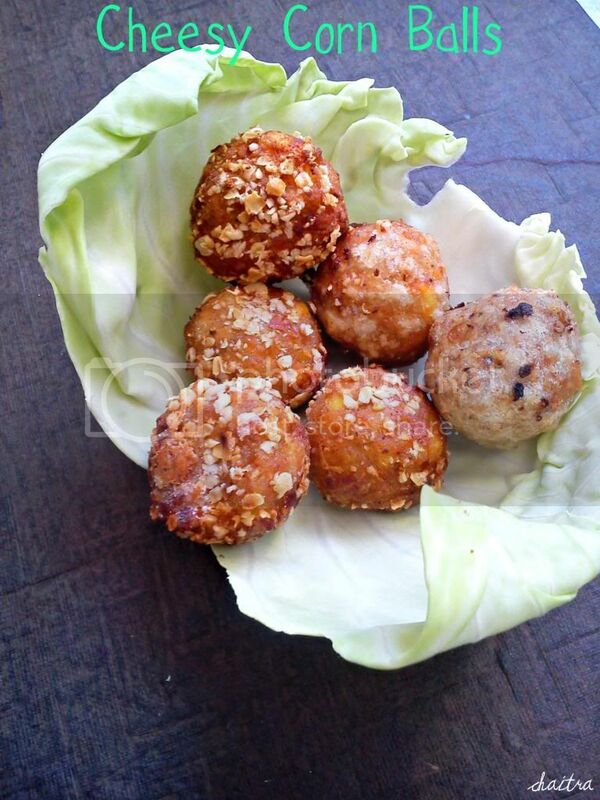 Heat oil in a kadai and fry these balls until golden brown and crisp. Transfer them onto a kitchen napkin to remove excess oil and serve hot with ketchup. 1) Oil shouldn't be too hot else you will end up getting uncooked balls and burnt ones. 2) Please make sure that you are at safe distance because few corns will pop out and this will end up with spilling of oil. So be careful. 3) You can roll the balls in bread crumbs. But I roasted oats and powdered them. 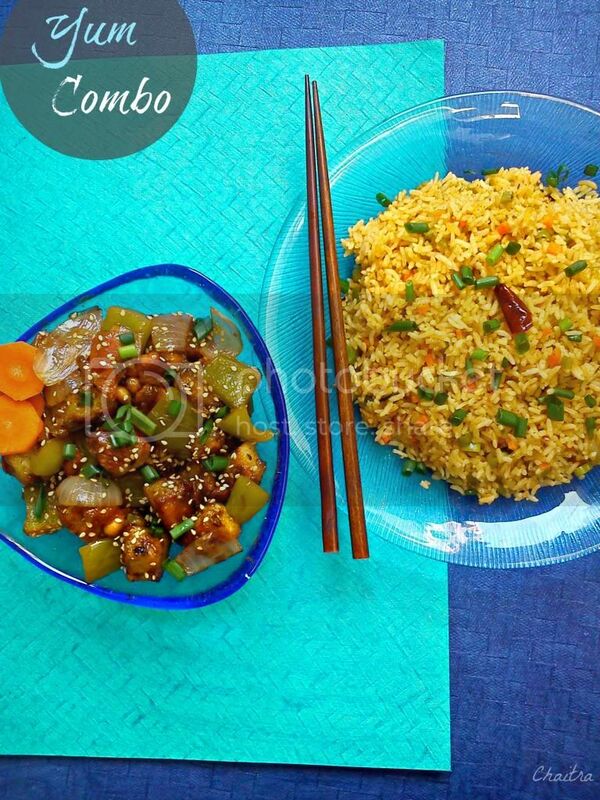 4) You can use the left over balls in Manchurian sauce and serve it with Fried rice. Rotating between shifts is really irksome and gets me on my nerves. Surely, it takes a toll on my health when my shift oscillates between afternoon for a month and extreme night shift the other.I sleep for about 6 hours a day and the remaining time, I become an owl as I cannot sleep due to some night shift related infirmities . Cooking something around 6:30 AM in the morning after a tedious shift makes me remember my mom who used to serve piping hot tiffin with a cup of coffee. Gone are those days, now I should cook for myself as well as for a dependent who works in an evening shift. Cooking something really healthy occurs only on weekends. But what about health? Does something nutrional enter my body during 5 days of a week? I know it certainly sparks a question on your mind. But most of you know that I am a health nut, so I have adapted my lifestyle with healthy eating habits and also with subsititutes which do not call in for elaborate cooking. So here goes my research and this helps me to stay fit and healthy. 1) Green Tea- Yes, I have replaced those innumerable amounts of normal tea with green tea. Yes, it is working for me as I do not feel weak like stem of a climber after my shift. 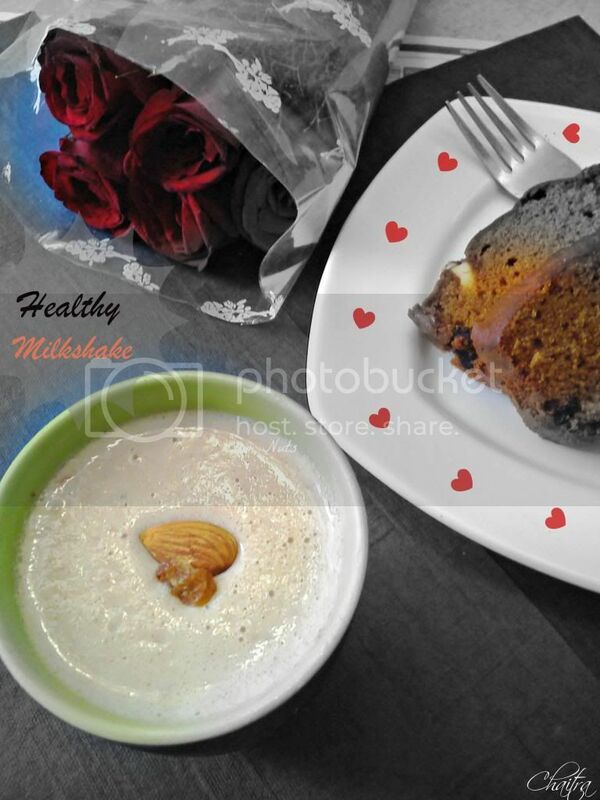 2) Healthy and Tasty breakfast habits- Yes, healthy food can be tasty and comforting to your stomach. How many of you have heard of Ragi(African Finger Millet) ? Most of us say yes while accepting the hard fact that it isn’t tasty and even the point that it bags many health benefits fails to convince us. So was I? I still remember my neighborhood aunt giving some sticky mass early in the morning and when enquired out of curiosity, she said that its for her daughter’s health. How about giving this Ragi a twist and make it more convenient for all the age groups eat it fuss free with happy faces? Sounds great….I can hear that…. Kottaram Agro foods has conceptualized this particular thought and gave a twist to bland tasting Ragi and this is surely a boon to people like me who cannot cook healthy elaborate meals but still can be blessed with an intake of daily dose of nutrients. 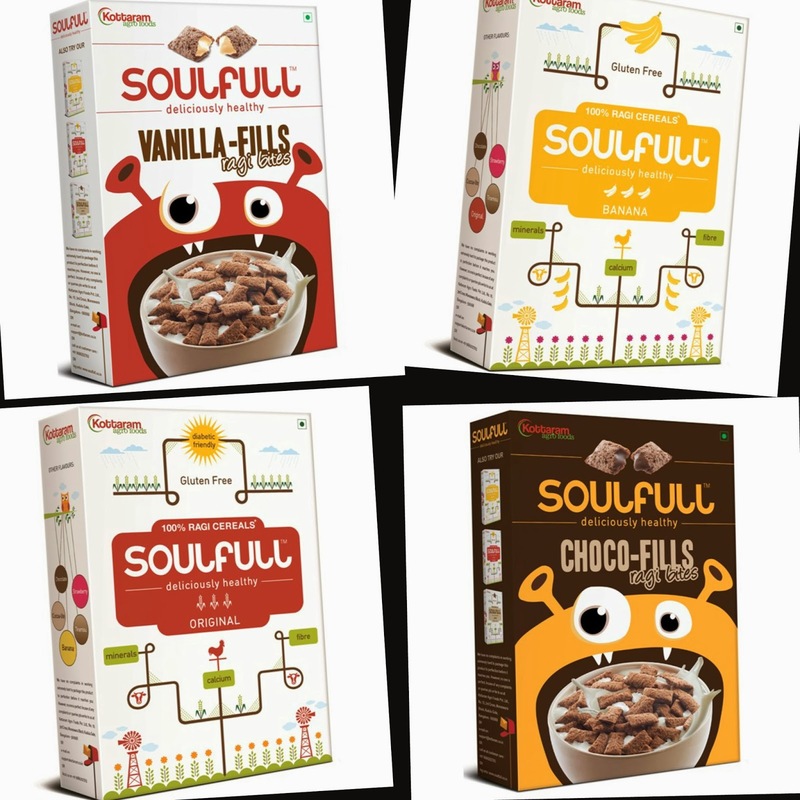 “Soulfull” took birth as a result of Prashant’s concept. 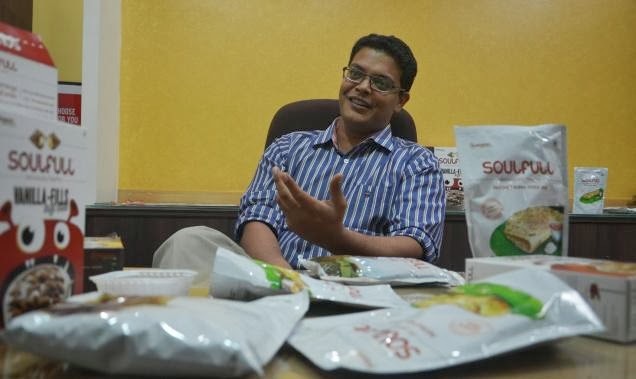 Prashant Paramewaran, a young, Kochi entrepreneur has successfully packaged ragi into tasty, delicious, healthy, breakfast options. “Please talk more about ragi and not about me,” says Prashant, the man who successfully launched Soulfull, a year back. Created by Kottaram Agro Foods, based out of Bangalore, the food brand focuses on two categories—breakfast cereals and instant dosa mixes. Sourcing the grain from farmers and traders the products come out of three factories located in Karnataka and Tamil Nadu. The product range now includes the original ragi flakes, flavoured flakes, vanilla and choco-filled ‘ragi bites,’ idli and dosa mixes. 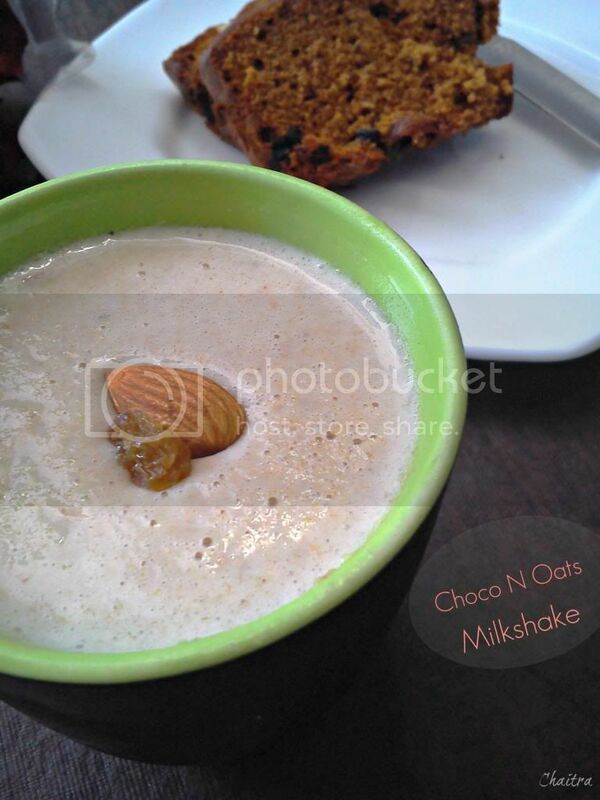 Monday Blues…weekday stresses etc etc call for some quick and easy breakfasts like cornflakes every morning. Fussy eaters like me can’t have corn flakes every day. Imagine a kid in my place instead. She would definitely give her mom a run behind her. So to make breakfast more tasty and healthy, Soulfull combined yummy chocolate in ragi filled pockets. Health makes mom happy and chocolate or vanilla filling makes fussy pickers to fall in love with it. I read reviews online about Ragi cornflakes and the one that caught my attention was by a Nutritionist and fitness consultant Luke says that these corn flakes taste better than Kellogs and I totally agree with him. Because of their size and crispy texture these cornflakes add extra zing to normal milkshakes and parfaits. Yes, you can even make milkshakes for your kids and they will not know that they you incorporated Ragi in it. We have many dosa mixes available in the market including ready to prepare dosa batters. For ready to make dosas, you will have to add curd or boiling water and you will end up getting sour tasting dosas. I so miss my mom and here fluffy idlis and crepe dosas and I cannot escape my South Indianness and my love for dosas. Their dosa mixes are perfect filling tiffins anytime and do not require much of hassle. All you need is 15mins to mix and pour it on your skillet and you get crispy dosas. Instructions are pretty clear on how to go about making a dosa. I am totally in love with their Rawa Idly’s. Usually instant idly’s turn rubbery and hard if you allow them to stand for 2 hours or so. But Soulfull’s idlie’s are porous and lite on that note. I loved carrying them to office. Thank you team for introducing me to switch to a healthy breakfast and to stay fit. So let's hit on the road. Water-1 and 1.5 cups of water. Schezwan Sauce- 2 and 1/2 tbsps or adjust as per your liking. 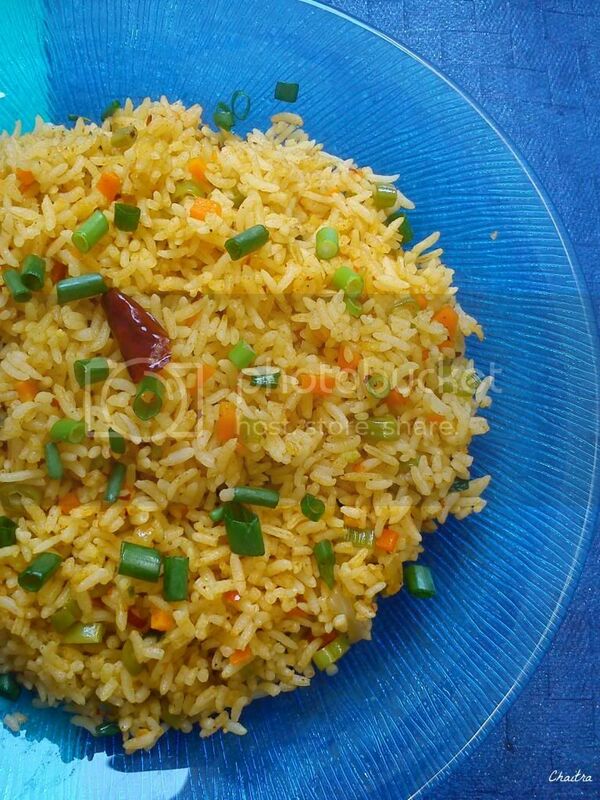 Wash and cook basmati rice with salt, olive oil and water of 1 and 1.5 cups. 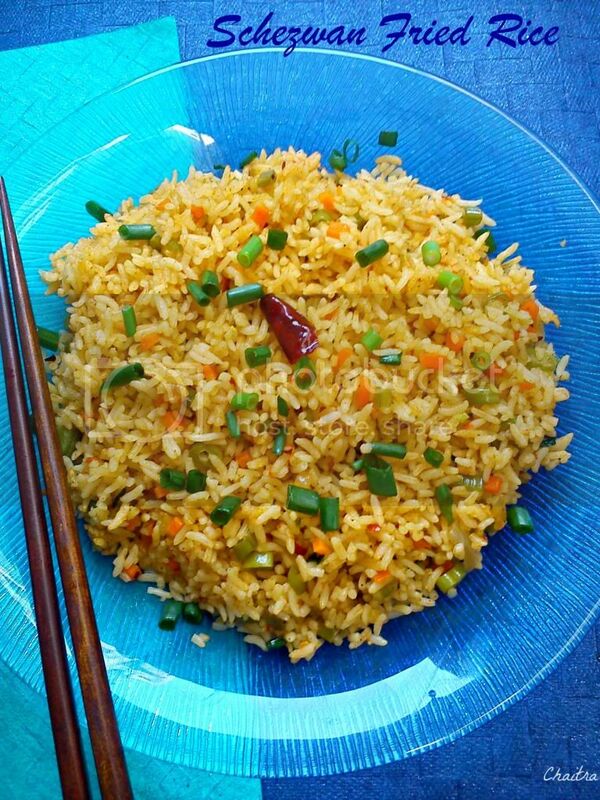 Once your rice is cooked, fork it to get separate grains and keep it aside. Heat olive oil in a heavy bottomed vessel and fry ginger and garlic pieces until raw smell subsides. Change your flame to high and then add your vegetables. Toss them on high flame for 2-3 minutes. Add Schezwan sauce, salt and pepper powder and combine all the ingredients well. Finally add rice and mix all the ingredients. Adjust salt if required and add a pinch of sugar. Toss it on high flame for 30 seconds and transfer the contents into a serving bowl. Serve hot. I shredded carrots,capsicum,cabbage and chopped beans finely. I did make Schezwan sauce sometime and found that it was too watery, so I used Ching's Schezwan sauce. I will surely try it sometime during this month to see if my plan B works. Last time when I used that little semi solid sauce, my rice was like a sticky mass. I din't realize that when I made sauce. This recipe is going to participate in my friend SJ's Independent India Event.